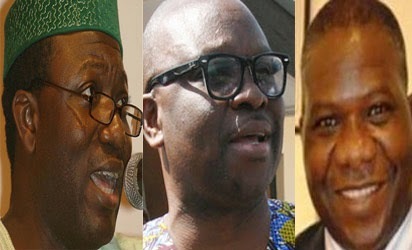 Early on Sunday morning, members of the All Progressives Congress led by some of their leaders including the Governor Kayode Fayemi were out on some form of campaign when they were allegedly attacked. Residents say they heard gun shots, but details on the cause of the violence may still be sketchy at this time. Police men in the state are said to be around at the scene, while a Channels TV staff at the scene got injured in the process of the skirmish. Hon. Oyetunde Ojo from the House Of Representatives and Senator Ojudu were also at the scene. The state government has called for the immediate transfer of the commissioner of police Ekiti state command, Felix Uyanna and the O.C MOPOL. Addressing journalists in Ado Ekiti, the chairman of the All Progressives Congress, Ekiti State, Jide Awe said for the interest of peace in the forthcoming governorship election, the president must intervene fast. ALSO CHECK: Check Out The Most Expensive P*ussy In The World Worth about 4.3 million Naira.